In the words of Tim O’Riordan, sustainable development is a ‘tough nut to crack’ because it does not fit easily with the normal political model of analysis and decision. The urgent need for sustainable development is evident, but the concept is vague, contradictory and confusing. O’Riordan points out that there is no agreement on what sustainability actually is, where we have to go to get it, and what it would look like in a multi-national world of nine plus billion people demanding more and more from a stripped and stressed planet (O’Riordan 2008). 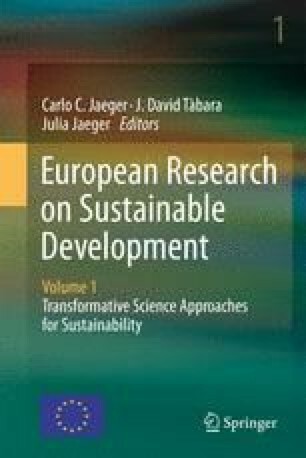 O’Riordan is right in that it is difficult to pin down what sustainable development is and what sustainability transitions will imply, for reasons which include that sustainability transitions are dynamic, systemic, configuration dependent, and indeterminate.